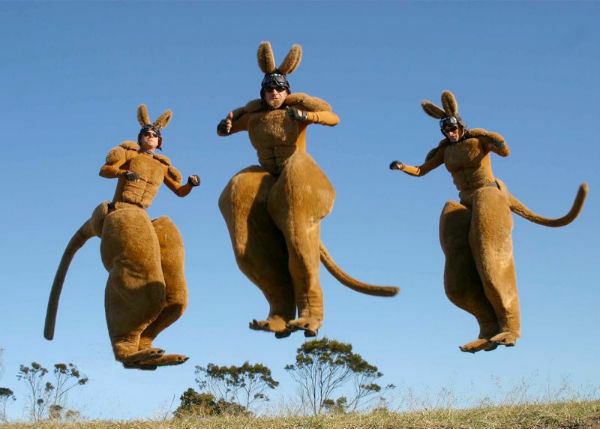 Jumping 3ft off the ground and 6ft in a bound, they’re a phenomenal sight with their cheeky blend of outback macho and inner city punk savvy — always Roo’d but never offensive. 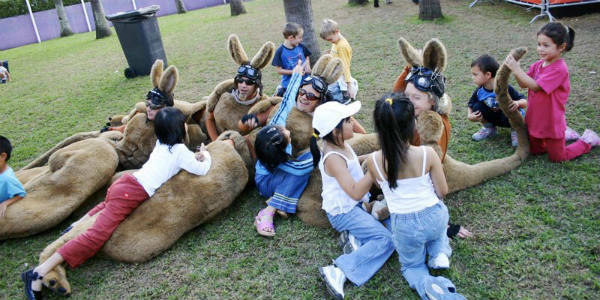 Audiences of all ages love Roo’d. 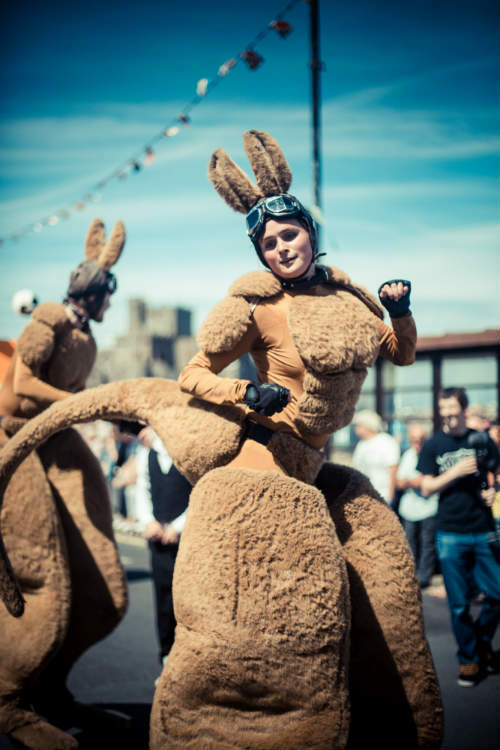 A great walkabout stilt walking kangaroo act that really stands, or bounces, out in the crowd with an ability to be cheeky, funny and cuddly all at the same time. 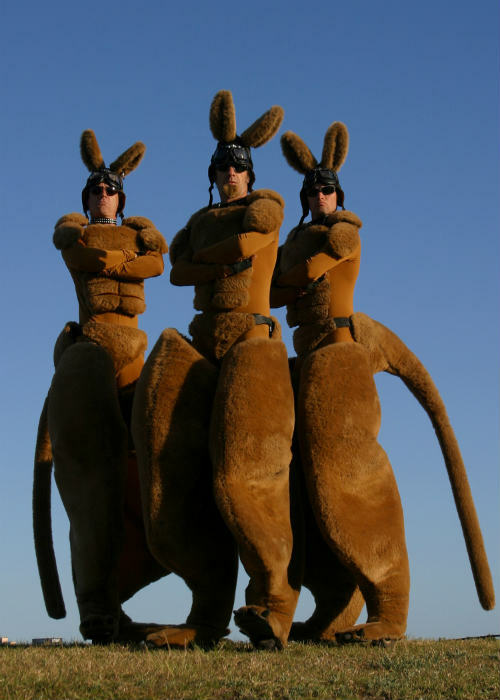 Their fur looks fantastic and their Bouncing Stilts make them much more physically impressive than normal stilt acts, wowing audiences with huge hops and bounds. More than just walkabout wallpaper; more than just colour and movement, these are detailed characters performed by a company known for its quality comedy chops! Once they begin their bold banter your audience will be in stitches. 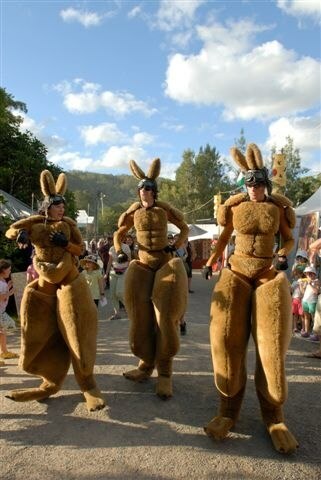 Why do Bouncing Stilts ‘wow’ audiences more than normal stilts? 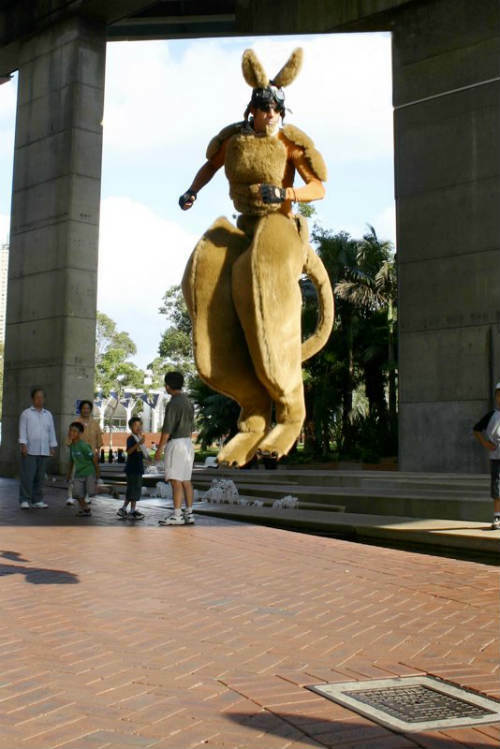 Bouncing Stilts are unusual and their dynamic fluidity surprises audiences. Although still tall, they aren’t rigid and awkward like peg stilts or plasterer stilts. 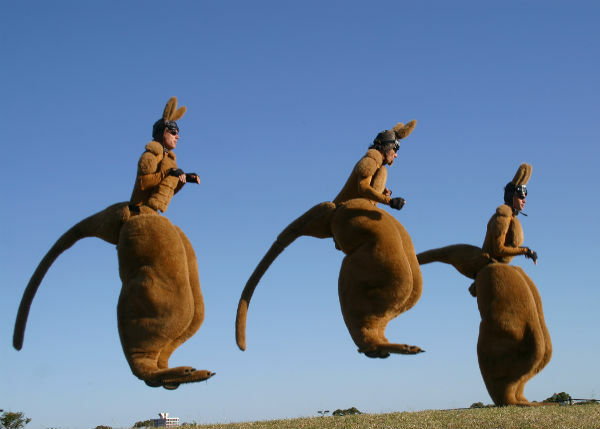 They are highly mobile allowing acts to jump, bounce and move freely through event spaces both small and large. 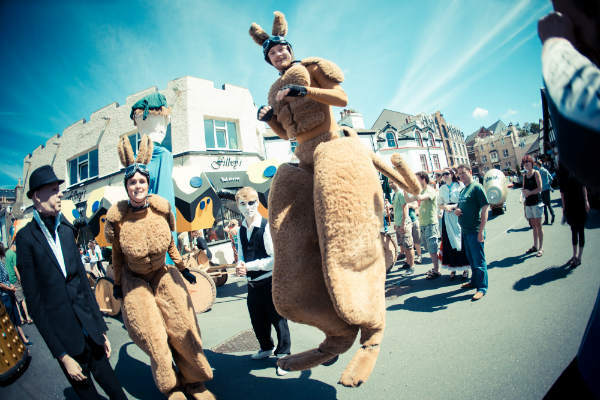 This company specialise in bouncing stilts, so unlike many companies using poorly made bouncing stilts and/or untrained performers, these guys are passionate about utilising them to make big, bold, funny, and physical characters. All their performers have trained in circus and physical theatre at highly revered schools such as NCCA, Lecoq, Gaulier and Circomedia. 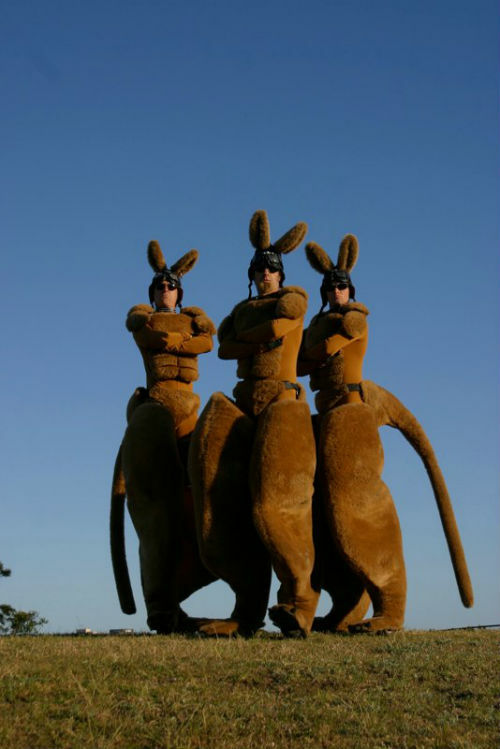 You can trust Roo’d to be an instant hit with your audiences!